Our range of products include twin lobe air blower, twin lobe vacuum air blower, twin lobe blower and twin lobe rotary air compressor. We are renowned name engaged in offering Twin Lobe Air Blower. Owing to maintain the constant flow at various levels of discharge pressures, it is broadly used in various RMC (Cement Unloading) and pneumatic conveying applications. 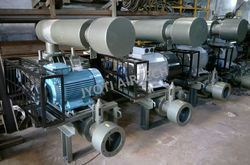 We are renowned name engaged in offering Twin Lobe Vacuum Air Blower. Owing to maintain the constant flow at various levels of discharge pressures, it is broadly used in various RMC (Cement Unloading) and pneumatic conveying applications. 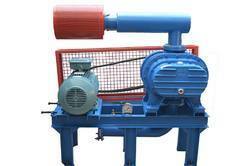 We are the leading and prominent Manufacturer and Exporter of Twin Lobe Blower. 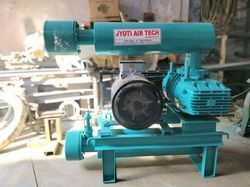 Our company has gained acknowledgement as the affluent manufacturer and supplier of a qualitative range of Twin Lobe Rotary Air Compressor which is used for compressing the air volume while reducing the atmospheric pressure. 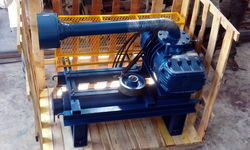 At our premises, this compressor is precisely manufactured from qualitative components and modish technology. Clients can avail this air compressor from us in different specifications at market leading rates. Looking for “Twin Lobe Blower”?